In late 2017, Forrester predicted that Chief Growth Officers (CGOs) would replace ineffectual Chief Marketing Officers (CMOs) as the prime stewards of enterprise growth. These CGOs, Forrester noted, are executives with broader remits to lead strategic growth initiatives rooted in an airtight connection with customers, a heavy reliance on data, and an overall cross-functional obsession with digital transformation. At the same time, Culture Amp, an employee engagement and analytics firm, estimated there were already 455 CGOs in the U.S., including at huge CPG companies Coca-Cola, Hershey’s, Conagra, and Kellogg’s. While the CGO role has not yet permeated retail — the main industries where CGOs reside are marketing and advertising, IT and services, and healthcare — the rise of the role underscores the pressure, importance, and urgency with which all brands in all sectors are under to deliver growth. In retail, the pressure is particularly acute — name another industry upended as dramatically by startups, digital disruption, and rapidly evolving consumer expectations and preferences. With digital commerce growing at a rate of 13% year-over-year in Q4 2018, and projected retail ecommerce sales topping $4 trillion through 2020, digital commerce is unquestionably the prime growth driver for many businesses. But how do ecommerce leaders take it to the next level? While CGOs are largely tasked with formulating and executing big picture, long-term, cross-functional growth initiatives, ecommerce leaders can support them by focusing on closing the engagement gap with customers, and removing friction at every step in the shopping journey. A big piece of that is understanding benchmarks not only in your industry but in your particular slice of it, and knowing exactly what distinguishes market leaders from the rest of the pack. 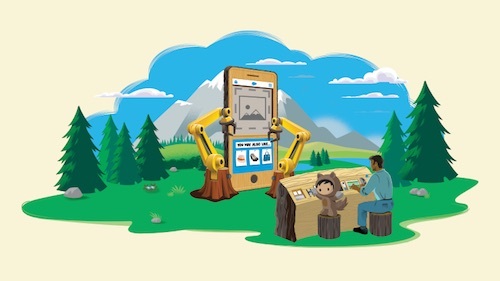 That’s the foundation of a groundbreaking new guide from Salesforce, Ecommerce and the Quest for Growth, which provides a data-driven approach to mapping growth for ecommerce businesses. The guide highlights the importance of advocating for customers, which includes understanding all pain points in the product discovery, purchase, and service process that may hinder growth. Once you understand which areas can have the biggest impact, you can alleviate those pain points and add fuel to your growth engines. 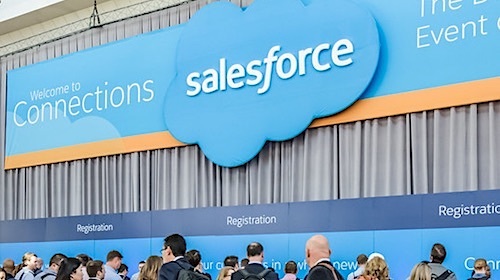 To put it all into action, the Salesforce team of commerce experts uses a proven formula to help brands of all sizes identify industry benchmarks and trends, thus uncovering areas of optimization to drive revenue. This formula also makes a compelling case for growth targets and investment with executives or your board of directors. The guide is filled with eye-opening insights and areas for brands to reflect on their current state, and acts as a trusted roadmap to pinpoint areas for growth optimization and resource allocation. One golden nugget gleaned from the report: growth in order volume is the leading contributor to revenue growth, at 18%. It dwarfs another key metric, average order value, where growth comes in at just 2.7%. While the CGO’s main mission is to uncover new, non-obvious paths to growth, ecommerce leaders need to stay attuned to customers, and compel them to engage with your brand with a premiere discovery, shopping, and service experience. The benchmarks in this guide offer a glimpse into the advanced services our team offers. 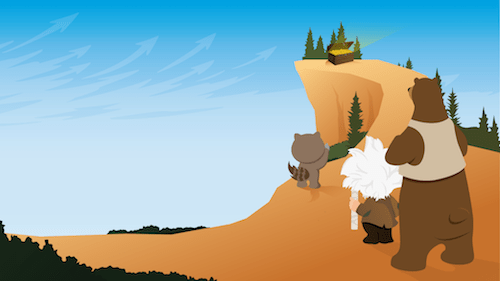 At Salesforce, our shared success model ensures deep commitment to your long-term growth and innovation with clear tools, services, and support throughout your journey to power future growth. You can tap into this wealth of information to get the most out of your sales data and find actionable insights to optimize your digital experiences, make better decisions about merchandising, use AI to gain data-driven insights, and deliver more relevant messages to customers that improve conversions at every micro-moment of the customer journey. 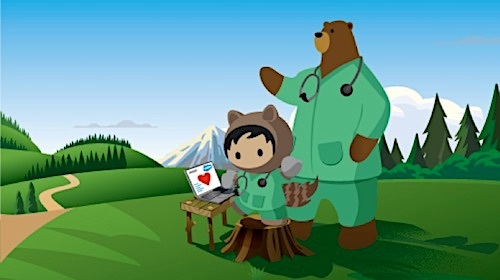 Get Ecommerce and the Quest for Growth to uncover unparallelled insights into key growth drivers, then check out Commerce Growth from Day One and Beyond to see exactly how the partnership with Salesforce helps you to scale and succeed from day one of our partnership.